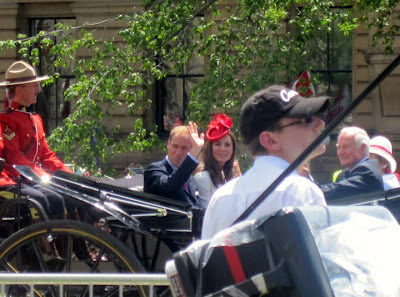 Record numbers of Canadians arrived in Ottawa to celebrate Canada Day and to catch a glimpse of the royal couple, the Duke and Duchess of Cambridge. Crowd estimates were at 300,000 but the numbers may have exceeded that. This July 1st would also have been Princess Diana's 50th birthday. Join the celebrations by clicking on the link below!